I’m playing my PRS RH2010 Special here, probably the most versatile guitar I’ve ever owned. Its been a while since my last update, mainly because I’ve been so busy! Given the number of people who want guitar lessons, I can confidently say that the demise of Rock n’ Roll has been much exaggerated! Signal chain: Boss TU3 tuner – Xotic Effects EP Booster – Boss Blues Driver – EHX Op Amp Big Muff – TC Electronic Pipeline Tremolo – TC Electronic Alter Ego Echo Delay. I’m pretty happy with this setup at the moment. The Boss Blues Driver is a stock, bog standard model that I recently bought from Ebay. There is so much “cork sniffing” going on with regard to pedals. People paying crazy amounts for boutique drive pedals that “sound like” a Blues Driver. Just save some money and buy a stock one!! Through the right amp, they sound great. Luckily, it boosts both my Morgan and Friedman Amps, in a equally pleasing manner. The Big Muff is also new. I’ve never really got on with fuzz pedals, but when I saw Billy Corgan had been working on a fuzz with Electro Harmonix, I thought it would be worth a try. It’s early days, but it does sound pretty darn good. I’ve got a few new videos in the works and I’ve been trying to keep my Instagram feed updated, so check over on the right hand side of the page, for that. It’s been a while since I did my last “proper” video. So, here is Going Loopy Part 7 where I’m improvising (or aimlessly noodling, depending on your viewpoint!) over a little loop I came up with. I’ve always enjoyed doing these videos and I’m hoping I can get back to doing them more regularly, over the second half of this year. Here is a video of my band The Nightwires, playing a brand new song at The Flowerpot in Derby. It’s been a long time since I used a chorus pedal. As most guitar players of a certain age will know, the chorus pedal became a bit of a laughing stock after the bloated-ness of the 1980s guitar sound. However, they seem to be making a comeback in some forms, with everyone from Boss to many of the boutique pedal makers, including a chorus pedal of some description in their lineup. I was lucky enough to obtain an unwanted Boss chorus pedal, donated to me by one of my lovely students. I gave it a blast at a recent rehearsal of my band The Nightwires. It sounded pretty good! Some of the new riffs/songs we have started to record, seem to suit a little bit of chorus here and there. I’m still not 100% convinced though, as I’m not sure the Boss CH1 is the greatest chorus pedal in the world but I’m loathe to splash out, say on one of the new Boss Waza chorus pedals, until I see how much I’ll use the sound. I also don’t really want to start having to build a bigger board either, as I am determined to stick to my Pedaltrain Metro board.. So, as another year of full time teaching comes to an end, I’d like to say a big thank you to the people who make my job so great; my students. This has been another year of great achievements, be that playing barre chords for the first time, mastering certain scales or just learning to play a favourite song. All successes, no matter how big or small, are equally important to me, just as they are to the individual student. I hope I’ve inspired my students to play for many years to come and in some cases, continue to write their own songs. Hearing a student play a song to me that they have written, after taking my advice on board, is pretty mind blowing! I look forward to seeing you all again in the new year and also hope to meet many more new students, on the road to guitar playing nirvana!! 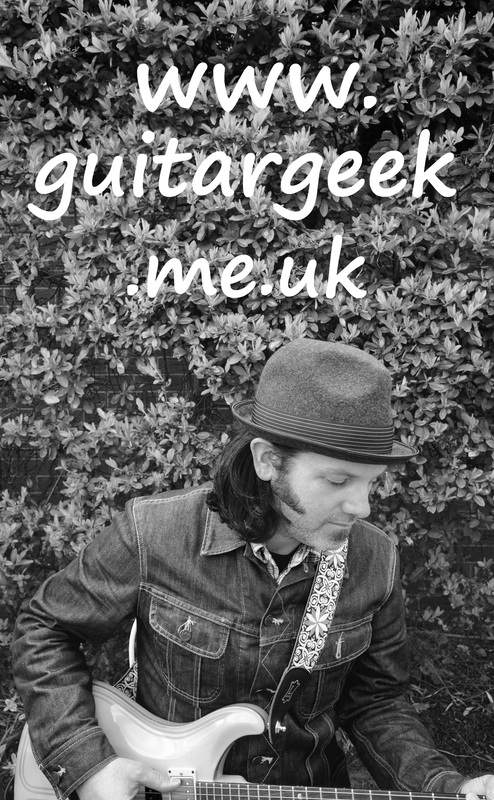 I have some limited space available at the moment, so if you are reading this and wanting to book some lessons, please get in touch and I’ll do my best to fit you in. In other news, I am now on instagram. Please head over to my profile and follow me, but you can also see all my posts, over in the widget to the right of this page.